Less than one week before UFC Fight Night 137, the Sao Paulo card lost one half of its main event. MMA News’s Damon Martin has confirmed the initial MMAjunkie report that Jimi Manuwa has pulled out of the main event against Thiago Santos, and stepping in to take his place will be Eryk Anders. The UFC is yet to announce the change to Saturday’s main event. This marks the second change to the card’s main event, which has now lost both originally slated fighters, Glover Teixeira and Jimi Manuwa. 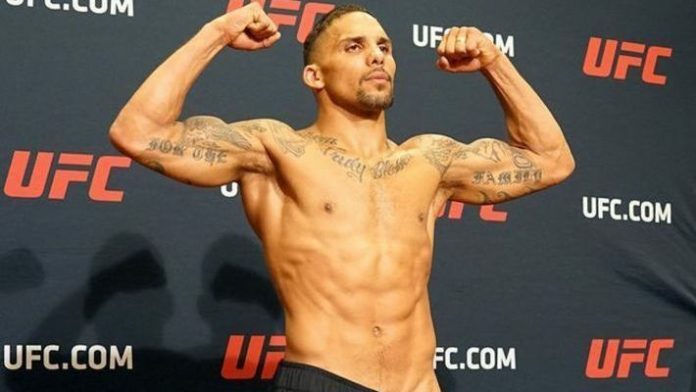 Eryk Anders is coming off a win less than one month ago when he took home Performance of the Night with his KO victory over Tim Williams at UFC Fight Night 135. On less than one weeks’ notice, he will now take on heavy-hitter Thiago Santos. Both fighters will be making their light heavyweight debut in the night’s main event. Anders is currently 11-1 MMA, 3-1 in the UFC, with his lone loss coming at the hands of former light heavyweight champion Lyoto Machida. Not the opportunity Thiago Santos was hoping for, with a top-five opponent originally on his plate, but he will still have an opportunity to shine in his first main event. Santos is coming off a unanimous decision over Kevin Holland at UFC 227 and has won five of his last six bouts, four of which by TKO. Jimi Manuwa stated at one point in the buildup that Thiago Santos was not worth fighting. Now, his burden belongs to Eryk Anders. What is your prediction for the new UFC Fight Night 137 main event? Does Eryk Anders get the win or Thiago Santos?